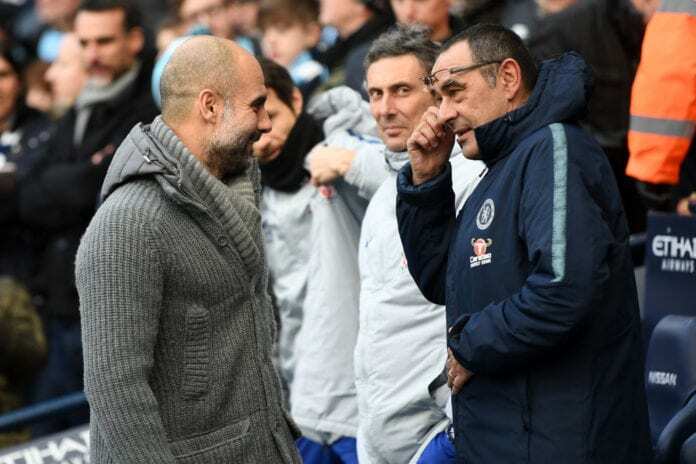 Maurizio Sarri claims he didn’t snub Pep Guardiola after Chelsea’s 6-0 mauling in the hands Manchester City at the Etihad Stadium on Sunday. The Blues were condemned to their heaviest loss in Premier League history and their worst in any competition since 1991. And the former Napoli manager revealed the opening goal ruined the game plan and credited Guardiola’s men. “We’ll need to find the explanation for all this over the next few hours,” Sarri told Football Italia via Sky. Sarri insists he didn’t see his City counterpart Guardiola after the encounter as he rejected snub claims.